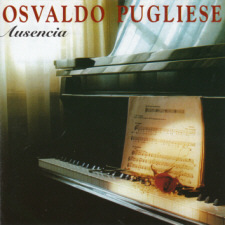 EMI-Odeón published Pugliese’s complete works on LP but never on CD. Most of their CD reissues have been excellent. The bulk of these were on the ‘Reliquias’ imprint, which has not been released digitally. Printed in 1995 and still the best. Great 4 CD compilation released in 2005. In addition, buy the CDs on Reliquias whilst you still can. These albums have not been released in digital versions. 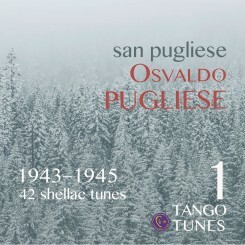 I strongly recommend the Tangotunes releases San Pugliese and San Pugliese 2 for the instrumentals and vocals with Chanel. 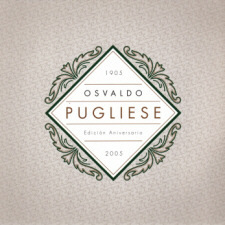 These are the most detailed and well articulated Pugliese releases ever, but be prepared to use your equaliser to get rid of the hiss when listening in a quiet environment. The Morán tracks are also detailed, but suffer at times from distortion on the peaks. For the vocals with Morán, there is no one-stop shop for those seeking a digital download. The DyM album “Dos ojos tristes” (DyM 115) is one I can recommend, but has just 10 tracks.